Learn how director John Collins and the Elevator Repair Service ensemble brought the classic Ernest Hemingway novel to life in The Select (The Sun Also Rises) in this free, public post-show Artist Talk. 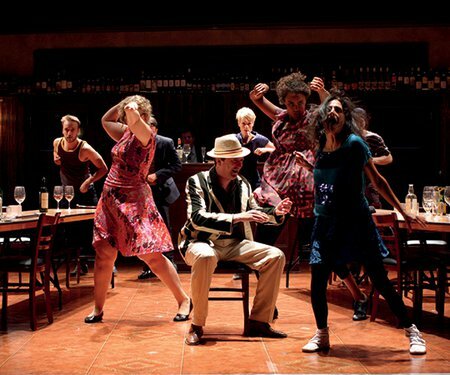 Before the talk, catch Tuesday's riotous, genre-defying stage performance. The giddy atmosphere of 1920s Paris and Spain explodes from the stage in this unique dramatisation of Ernest Hemingway’s classic first novel, The Sun Also Rises. 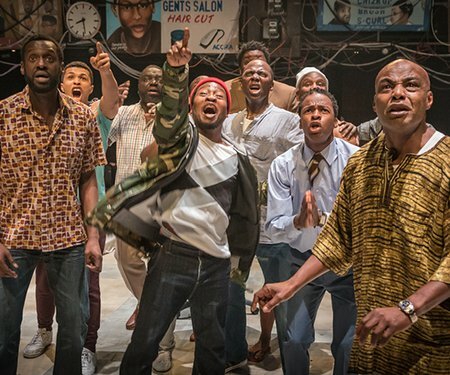 Meet the dynamic cast behind the five-star, UK smash-hit The Weta Digital Season of Barber Shop Chronicles at this free, public post-show Artist Talk.